We all have personal characteristics. Some come to us naturally, others don’t. Some make us great negotiators, others hinder our abilities. Discover 10 key characteristics that sum up what win/win negotiators demonstrate in order to achieve the results they want. Every time. Here is my top 10 list. There are definitely others that are valuable, but without these 10 essential characteristics, the negotiation game will be much more difficult to master. 1. Leave little to chance. Who am I negotiating with? Where is the best place for the negotiation to take place? What is the timeframe for the negotiation? How will I manage the negotiation? What are the key issues and outside influencing factors? Do I understand them? What is my BATNA? My settlement range (MAR and LAR)? Opening offer or counter offer? What are the independent standards (i.e. price comparables, appraisals, surveys or other professional opinions) to support my opening offer or counter offer? Concession strategy? Do I have a prioritized list of potential concessions and trade-offs? How do I make this a win/win negotiation? How do I deal with a win/lose counterpart? How do I break a potential deadlock? There’s so much more, but this gives you a good idea of the planning involved in a successful negotiation. Win/Win negotiators know this kind of serious preparation does not guarantee a winning negotiation – but they also know that without it, they’re heading for certain failure. 2. Be patient, persistent and creative. Advantage always goes to the patient negotiator who persistently pursues creative win/win solutions. Negotiation is a complex process that takes time. Progress usually comes in small increments. Impatient negotiators who lack persistence often leave potential results on the table and make costly mistakes. The most successful and effective negotiators are the most creative. Good solutions eventually come to those with the patience to wait for them, the persistence work for them and the desire to produce innovative win/win results. And don’t forget, some of the more difficult negotiations will likely call for quite a bit of stamina. So be ready! 3. Listen, listen and then listen some more. Active listening techniques (they suspend judgment and focus on understanding what is said by their counterpart). Reflective listening techniques (they repeat, summarize or reflect back to their counterpart what they just heard in question format). These techniques are used to gain valuable information about their counterpart’s positions and rationale. Successful/Effective negotiators realize that it’s next to impossible to persuade their counterpart to adjust their point of view if they themselves don’t understand it. What is empathy? It’s an attempt to understand, be aware of and sensitive to the feelings, thoughts, experiences, frame of reference, interests (needs/priorities) and positions of your counterpart. Successful/Effective negotiators understand that in order to manage conflicting points of view and achieve a win/win result, you must provide your counterpart with convincing reasons to exchange their ideas for the ones you suggest. Your counterpart will be much more receptive and your rationale much more convincing if he/she is confident that you understand and that you are sensitive to his/her point of view, interests (needs/priorities) and position. Empathy builds rapport, encourages information sharing, establishes mutual respect and moves the negotiation forward in a positive direction. 5. Be sensitive to nonverbal cues. Not only are successful/effective negotiators sensitive to nonverbal cues, they can also read the ones that actually matter. Experienced negotiators are really good at sending nonverbal cues meant to disguise information, and in some cases, outright deceive their counterparts. Win/Win negotiators focus on two nonverbal sources that are difficult (not impossible) for inexperienced negotiators to control: the eyes and the voice. Believe it or not, people’s eyes and voice can provide valuable nonverbal information about both the relationship and the emotional state of the parties in a negotiation. When messages delivered verbally conflict with messages delivered nonverbally from the eyes and voice, experienced negotiators tend to attribute more credibility to the nonverbal messages. 6. Don’t take things personally. When you feel angry, frustrated, embarrassed, defensive or just plain upset because of the effects your counterpart’s beliefs, attitudes or behaviors are having on you in a negotiation, it’s extremely difficult to respond intelligently and calmly. If you react emotionally, the consequences tend not to be in your best interests and usually make a bad situation worse – not better. Through Mental Sublimation, successful/effective negotiators have learned to detach themselves emotionally by accepting the fact that the beliefs, attitudes and behaviors of their counterparts do not belong to them. And as a result, they don’t take responsibility for them either. This is one of life’s most important skills: how to “not take things personally”. 7. Be an innovative and creative problem-solver. Clearly identify “problem issues”: their causes, effects and impact on the negotiation. Prompt each side to explain their interests (needs/priorities) in relation to the problem issues and why they are important. Clarify similarities and differences between the parties’ interests (needs/priorities) and how they impact the development of a win/win solution. Propose trade-offs (what ifs): “What if we lower the price to a more acceptable level for you, if you extend the proposed contract to a more acceptable duration for us?” Perform a reality test for each proposal. Agree on a creative win/win package. Remember, the most successful and effective negotiators are the most innovative and creative. A realistic and justifiable settlement range (MAR/LAR). A range of solutions from “most acceptable” to “least acceptable”. Here, it’s important to note that every solution within the range is acceptable (some more than others) and not one of them compromises the negotiator’s interests (needs/priorities). Successful/Effective negotiators show their flexibility by proposing creative ways to satisfy the interests of both sides at the lowest cost to one another. A win/win solution within the respective settlement range is the focus. As the negotiation unfolds, you must be both flexible and adaptable in order to effectively tolerate conflict and stress. It happens to all of us. Those who learn the error of their ways quickly and move on become successful/effective negotiators. Those who don’t, make the biggest mistake of all. 10. Adopt a Results with Relationship approach. From the get-go, a successful/effective negotiator’s approach is to achieve win/win results – a mutually acceptable solution that satisfies the interests (needs/priorities) of both parties with, not at the expense of, the relationship. They avoid confrontation, intimidation, blaming, constantly interrupting, talking over top of the other, putting others on the defensive or threatening their self-esteem. They focus on clarifying and satisfying another’s interests (needs/priorities) rather than debating each other’s positions. They remain calm, cool and collected throughout. Their continuing movement is towards a fair and mutually acceptable solution. To be a successful/effective (win/win) negotiator, you have to play the game and play it very well. You must have considerable knowledge about the negotiation process and that includes its rules, rituals, strategies and tactics. But these alone won’t enable you to play the game “masterfully”. In win/win negotiations, if you want to be part of the solution and not part of the problem, you must exercise those characteristics that come to you naturally, but also adopt and add other key characteristics either through experience or skill development. 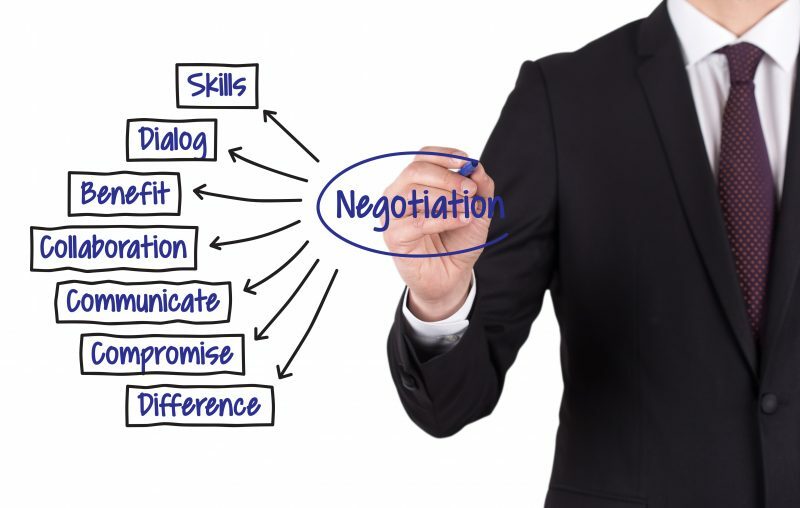 It won’t be long before you’re a masterful, successful/effective (win/win) negotiator. Dr. Don MacRae is the author and passionate leader of Situational Communication® and the CEO of Lachlan Enterprises Incorporated (The Lachlan Group). Do you know the primary reason leaders and potential leaders fail today? It’s not because of what they do but rather how they do it – in other words, their communication, negotiation and relating skills. Find out “how to” improve both your success, and your communication and negotiation effectiveness, by taking advantage of the FREE version of the Situational Communication® website/webinar. Situational Communication®: The Communication Process and Relating Styles of Successful/Effective People. An emotionally intelligent communication, negotiation and relating strategy that maximizes a minimum amount of time to consistently achieve successful results and develop effective relationships. Enhance your personal, business and professional credibility, respect, fairness, pride and collegiality. Learn to communicate, negotiate and relate to others with personal power, influence and persuasion every time – particularly in difficult and challenging situations. Learn more about what Situational Communication® can do for you, your career, your leaders, your organization and your professional development. Contact us today.